Our Batman: Arkham Knight walkthrough will guide you from start to finish with strategy tips for this action-adventure game on the PS4, Xbox One & PC. In the explosive finale to the Arkham series, Batman faces the ul... more. It's finally here! The best of the franchise to date! Far Cry 4 walkthrough, along with it's Fairy Cry title (reminds me of how lame the 'Devil May Cry' title was too). But this isn't a sucky title. This is FARY CRY 4 in it's full glory on the newgen consoles is to die for, literally. That said, if you are tired of dying too much, or just want the best digs the game has to offer as w... more. As always GameGuidedog shares the complete list of downloads and confirmed retail list for all new video game releases. Additionally, keep us bookmarked for full online walkthroughs (always to 100% completion and updated with member requested intel) each of these games get included in the members area, along with expert savegame files, unlocks, cheat codes, hints, tips, spoiler free ... more. On Thursday Sony XBox (Photo credit: Sheryl's Boys) announced it has cumulatively sold more than 7 million units of its Playstation 4 console. Meanwhile, Microsoft has reported no real sales figures for Xbox One, but has announced 5 million units shipped to retailers since the console launched. 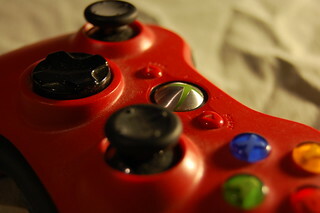 These numbers have renewed interest in the next-generation console wars, leadin... more. 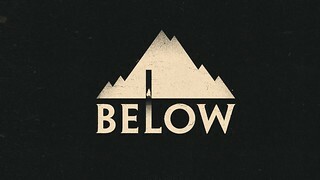 PAX East 2014: Below Will Come to PC And Xbox One Nine months after Microsoft originally unveiled its ID@Xbox self-publishing program for the Xbox One, the first independent game to go through the system has launched. Strike Suit Zero: Director's Cut, the space combat game from Born Ready Games that originally launched on PC last year, has now released for Xbox One through ID@Xbox and for PS4.... more. The hottest new Video Game Walkthrough VIDEOS posted on GameGuidedog's GAMETUBE channel! 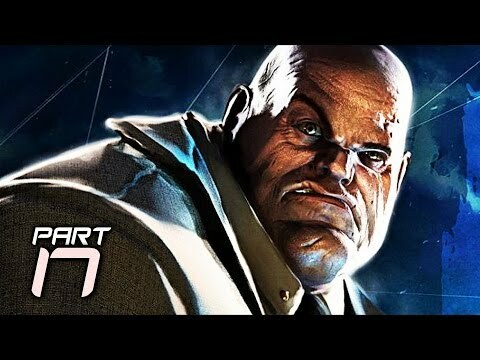 The Amazing Spider Man 2 Game Gameplay Walkthrough Part 1 - Black Cat (Video Game) SPLINTER CELL: CONVICTION - FULL MOVIE - Full Game Walkthrough (Realistic Difficulty) God Of War Walkthrough - Complete Game Movie Batman Arkham Origins Cold Cold Heart Full Game Walkthrough / Complete Walkthrough Silent H... more. Enjoy complete and total Power with the complete Infamous Second Son Walkthrough Online Strategy Guide! inFAMOUS Second Son, a PlayStation 4 exclusive, brings you an action adventure game where surrounded by a society that fears them, superhumans are ruthlessly hunted down and caged by the Department of Unified Protection. Step into a locked-down Seattle as Delsin Rowe, who has recently disc... more. Wolfenstein The New Order Online Strategy Walkthrough Guide Wolfenstein: The New Order Walkthrough Introduction: Wolfenstein: The New Order reignites the series that created the first-person shooter genre. The year is 1960 and the Nazi’s have won World War II. War hero B.J. Blazkowicz must launch an impossible counter-offensive against the monstrous Nazi regime that has conquered the globe. ... more. Submitted by Abriael 31m ago | e If you want to be ready for the opening of the floodgates of the last phase of the Final Fantasy XIV: A Realm Reborn open beta tomorrow (at 1 AM Pacific) you may want to start downloading the client, that has now been made available on the PlayStation Store. Final Fantasy XIV: A Realm Reborn will be released on 14th April for PlayStation 4. The Beta Phase 2 will b... more. Copyright © 2001-2019 GameGuidedog: The Best Video Game Walkthroughs, News and Reviews. All rights reserved.